My mother-in-law was diagnosed with ME over 15 years ago, ever since I've known her really. She's lived with it for far longer than anyone should have to and despite having to fight against everything life throws at her, she does fantastically well. To know I was writing something like this about her would make her very uncomfortable, this isn't just being humble for humbles sake, she just gets on with things no matter what they are. Having said that she has suffered for far too long, often feeling maligned, snubbed, marginalised and even vilified for her illness - and she's not the only one. I'm not an expert in ME, I'm not even close to be able to speak about it with any kind of authority, nor could I even pretend I know what it feels like - but I know that the general lack of treatment and support is wrong. As long as I've known my mother-in-law I've wanted to do something to help; by which I mean more than just push her in her chair and take her out occasionally. The problem is that this is no where near as regular as I'd like and does not feel like anything more than a temporary measure. 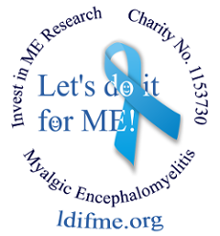 Raising money for Invest in ME is something I feel strongly about, although as a charity it's one I have only heard of recently. But since I've seen the impressive list of achievements behind them and the real work in raising awareness and more importantly its progressive stance on finding a workable treatment I knew that it was a cause I wanted to aid however possible. I don't have a lot of money to give myself, but I don't think it's just an issue of giving funds (although that's vitally important), it's also about getting people to engage with the issue, to acknowledge it for it is. I've been an author to one degree or another for the last decade, from casual blogging to paid projects, but this is my first publication and I couldn't be more excited about it. When writing these stories over the last five years I didn't imagine I'd one day publish them, but having finally see it go on sale it all seems to fit rather well. 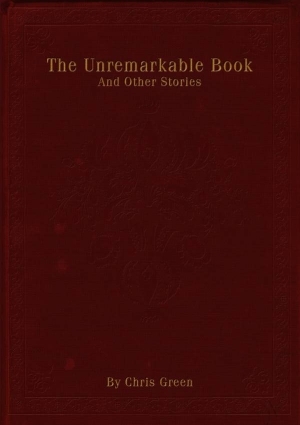 I shan't try and pretend that the stories somehow cover ME or somehow feed into it, well not any more than anything else seems to. But what I do say is that I want to help get people to see things differently, to appreciate an aspect to an issue they might not have seen before. In some amazing act of serendipity this is also what I want for people's attitudes to ME - I don't think this is a matter of convenience or a need for "closure", but I at least think it's fitting. There are a couple of ways I hope people can help support IiME with this book, firstly through all profits of the sale via Amazon or, for those who aren't able to support financially - through spreading the word and helping gain more exposure using the "pay with a tweet" button. I would of course love to see everyone contributing towards this great cause, however, I realise this isn't just about raw funding, but also changing attitudes and hope that through my work here, I might contribute something towards affecting a change of some kind - no matter how small. From an author's prospective I hope that you enjoy the book and take something away from it once you've finished. For more information about the book itself and how to get a copy take a look here, and if anyone wants to get in contact you can find me on Twitter and Google+ - I look forward to hearing from you!